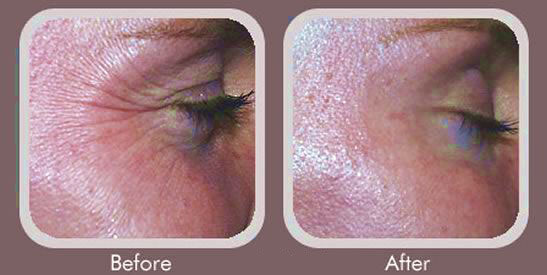 Fine lines and wrinkles are brought on by the breakdown of collagen and elastin in the skin. Collagen and elastin give the bolster structure to skin, keeping it smooth and resilient. As these strands separate, the skin starts to lose its strength and elasticity. When this happens, fine lines and wrinkles can start to show up. For most, exposure to the sun's damaging UV rays is the real reason for skin aging resulting in fine lines, wrinkles, and unpleasant surface. Heredity, the common aging process and even years of facial appearance can likewise play a part. Many people first notice scarcely lines and wrinkles around their eyes and mouth. As the aeging advances skin hangs and develops wrinkles, lines, and furrows. The severity of these changes in an individual relies upon hereditary tendency, skin phototype and exposure to environmental factors. These can be taken care of with the use of botox, fillers and fractional co2 laser. Skin tightening can also be achieved with the use of lavatron (radio frequency).